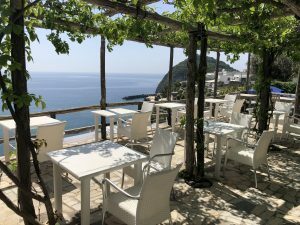 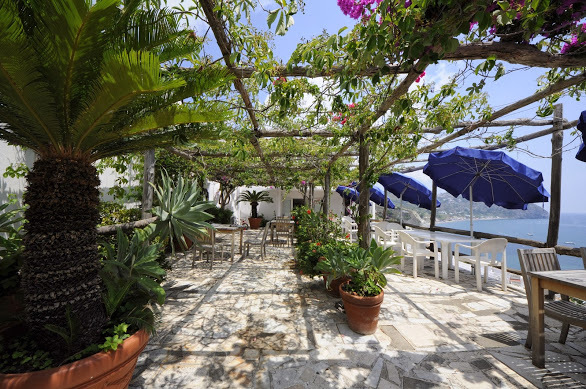 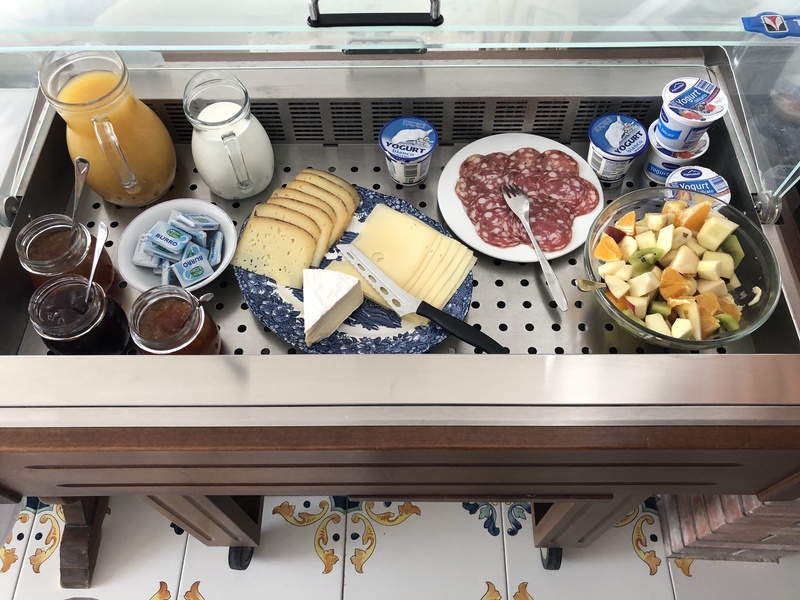 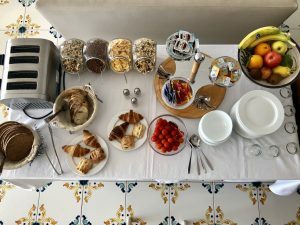 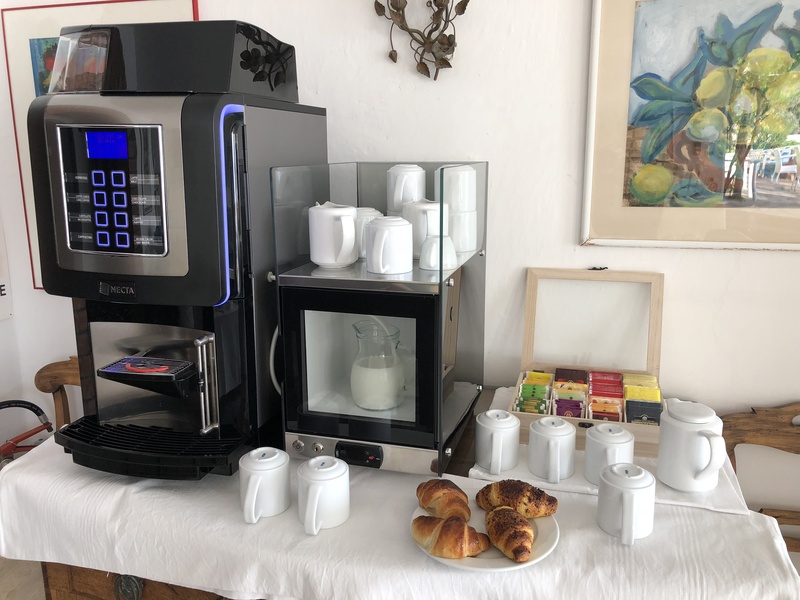 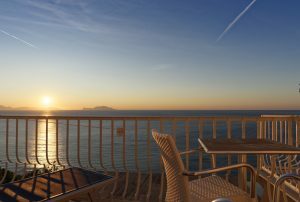 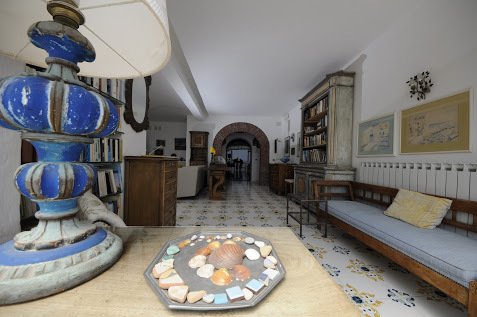 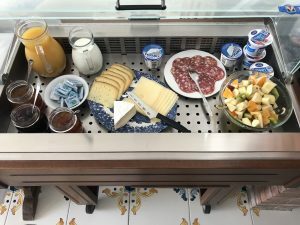 The Hotel Casa Sofia is located above the sea in the village of Sant’Angelo: the pearl of Ischia is located on the south coast of the island. An old fishing village – the only place on the island without car traffic. An oasis of calm and a welcoming place frequented by international travelers with 600 inhabitants – an insider’s tip for individualists. 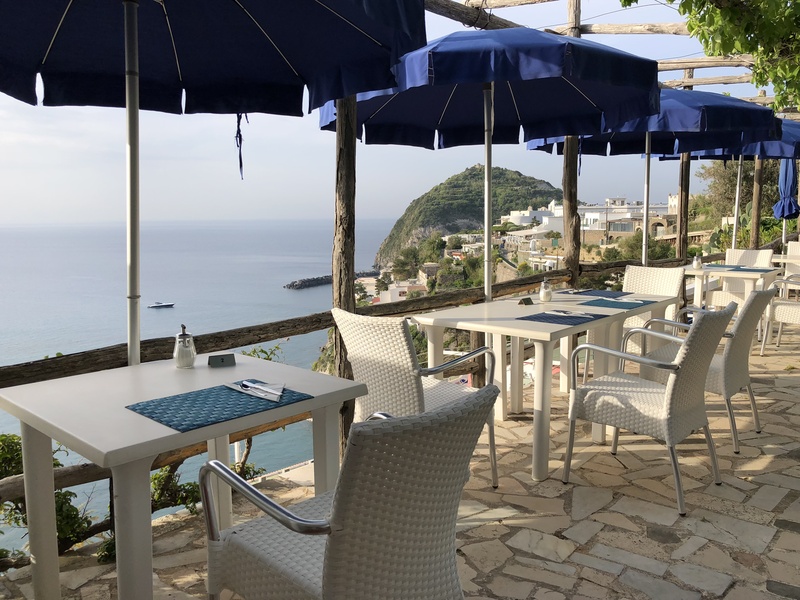 Sant’Angelo is located on a hillside that overlooks the harbor and the narrow streets, where the colorful fishing houses and hotels that fit stylistically precisely up the hills. 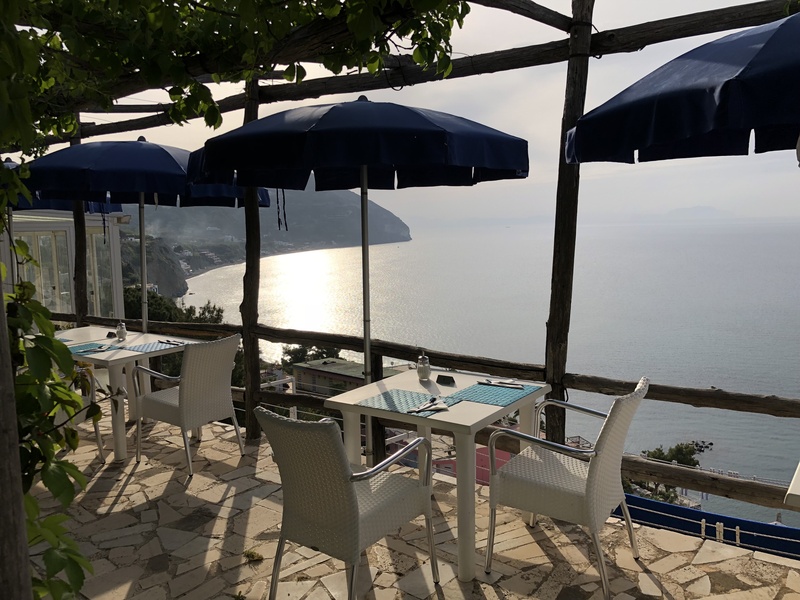 Another landmark of S. Angelo is connected by a narrow strip of sand with the harbour the 105 meters high hill of volcanic origin, called “Torre” (tower), named after the pieces once belonging to an old sarazenian defense system located on the mountain. A little below the old fortress is also the ruins of a small church, which was dedicated to the Archangel Michael, which also gave the name to the village(Sant’Angelo = holy angel). 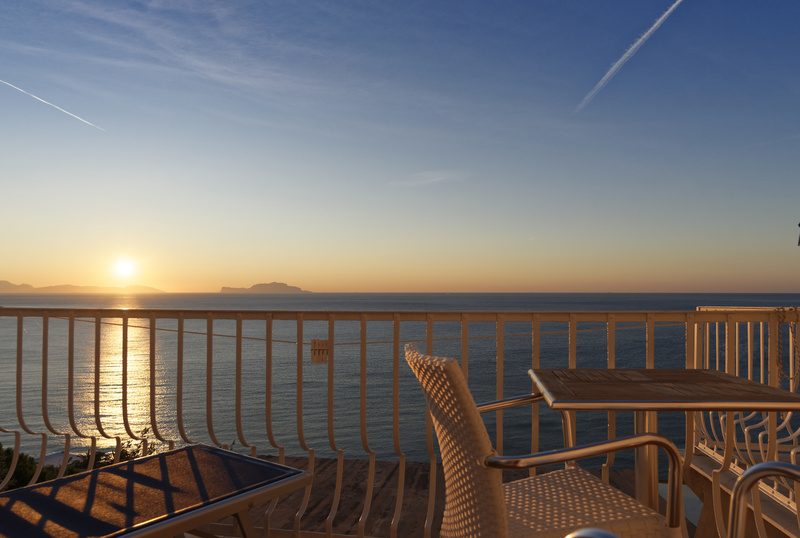 From Torre you have a beautiful view of all S. Angelo and the Piazzetta. 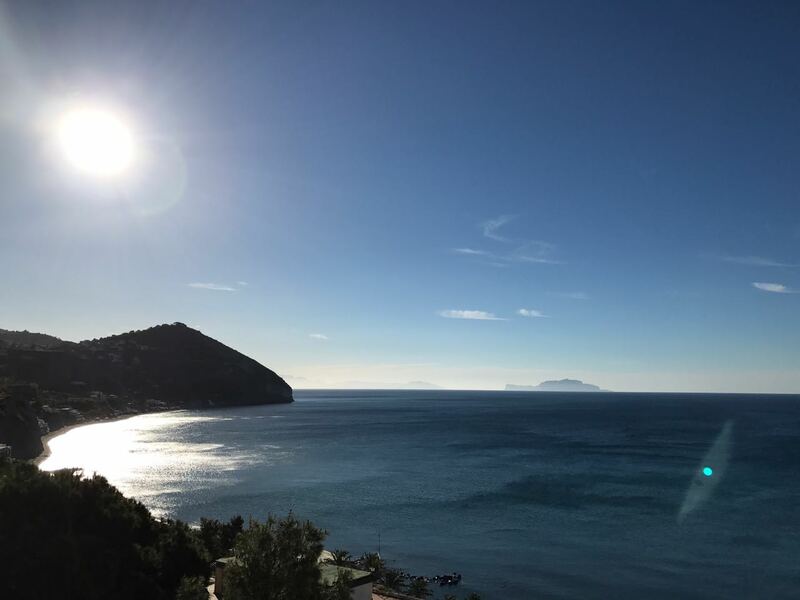 In the tourist season (approximately June to early October) the daily maximum temperatures are between 26 ° C and 35 ° C. In summer there are about four days of rain per month, the sea is from June to October 21 ° C or more.